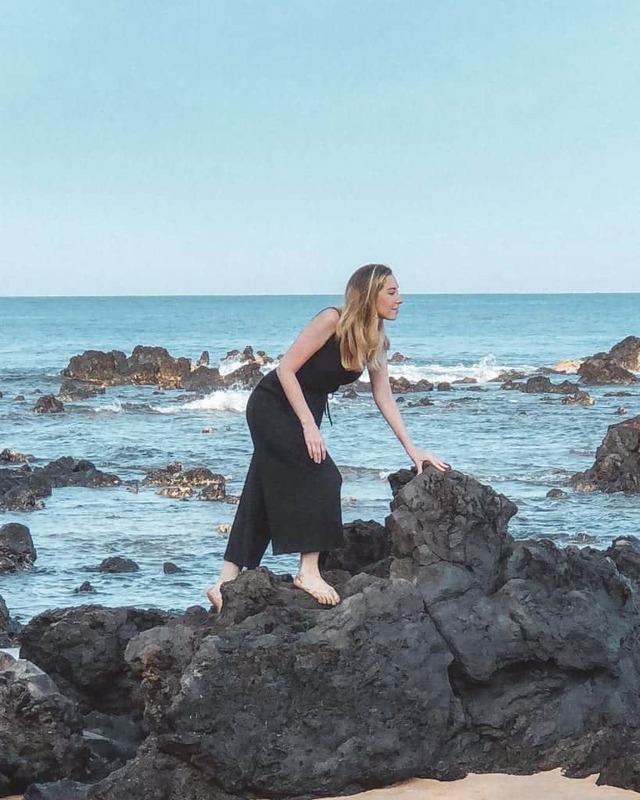 Visiting Hawaii is an annual family tradition, but we had to change course a bit when the volcano erupted on the Big Island in June 2018. Instead of canceling our trip altogether, we opted to change our trip plans to Maui, an island I had not visited in many years. I absolutely cherish my island time. 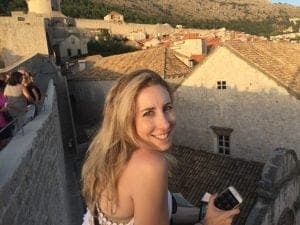 Learning how to vacation instead of “trip” wasn’t easy at first, as I constantly stressed about missing out on moments, activities, and places in a new destination. But, I have trained myself to crave the restoration that comes from a true vacation — taking the time to read all day and conversing with family over an extended meal. That is why I created this curated list of the best restaurants in Maui for lunch. There is a decent variety of fine dining, casual dining, and even a hands-on farm to table experience for you to choose from. Let’s get into it shall we? Here are the top restaurants in Wailea, Kaanapali, Wailuku, and upcountry for the best lunch in Maui! Legendary chef, Peter Merriman, is one of the original 12 founding chefs of Hawaiian Regional Cuisine. 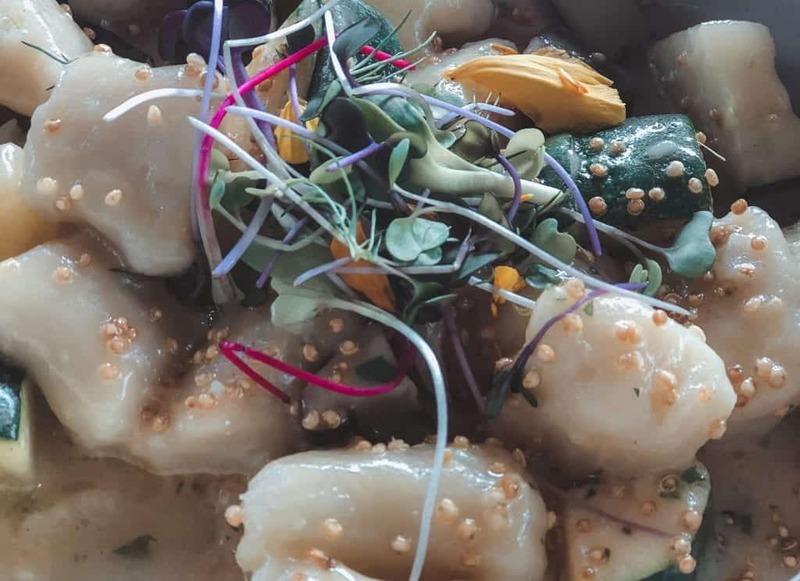 Having regularly eaten at his signature restaurant Merriman’s on the Big Island of Hawaii for the past 20 years, I was thrilled to discover that he had launched a new casual dining concept on Maui called Monkeypod Kitchen. The food at Monkeypod is sourced locally from Maui vendors and is quite delicious. Be sure to try a wood-fire pizza for your entree or as an appetizer for the table. Let’s get into why Monkeypod has really been included as one of the top 5 lunch restaurants on Maui. The reason? Mai Tais. These are no ordinary Mai Tais…seriously, they are award winning. The not-so secret ingredient? The cocktail contains lilikoi cream, a local fruit, which makes a delicious foam across the top. So basically, Monkeypod Mai Tais will probably be the best you ever have. And, they are strong. Like two of them and you are stumbling out the door kind of strong. 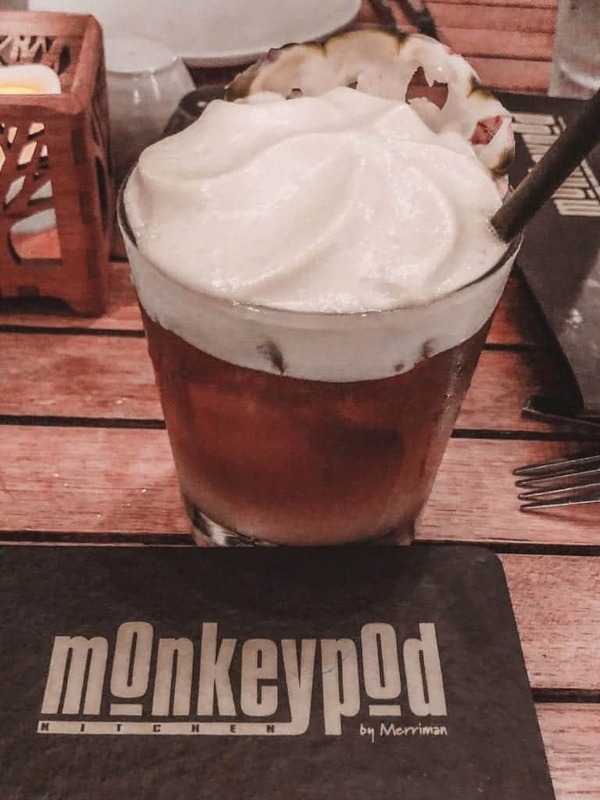 According to their Instagram, Monkeypod actually sold 115,000 Mai Tais in 2017. Do you think that number top 150k in 2018? I guess we will find out soon! There are two Monkeypod locations in Maui, one in Wailea and another in Kaanapali, so you have some flexibility on which restaurant to visit. If you do decide to go on a morning hike or have a beach day and are looking for a late lunch or linner (dunch? ), be sure to check out Monkeypod Kitchen’s Happy Hour. Pizzas are only $10 and those glorious Mai Tais…$9.50! Click here to see a lunch menu. 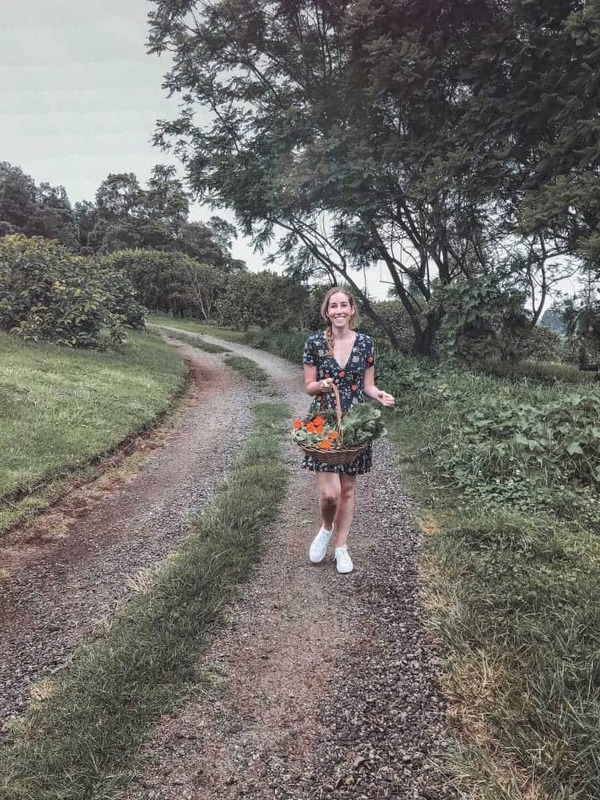 While lunch at O’o farms isn’t your traditional sit-down restaurant experience, I felt very strongly about including a tour to this private culinary farm as one of the best lunch spots in Maui. 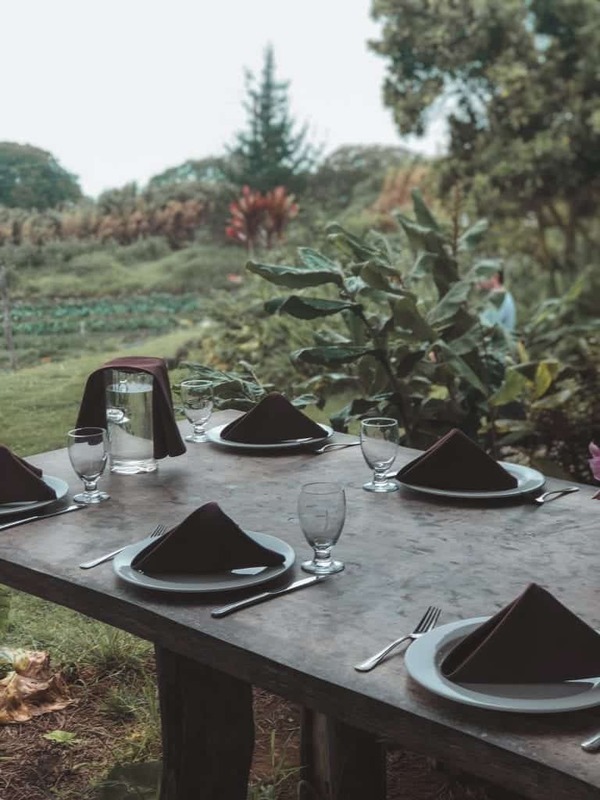 I recently recommended the O’o farm lunch tour along with a few other places from this list to a good friend who was visiting Maui. When she returned, she said that lunch at O’0 farm was her absolute favorite meal of the trip. 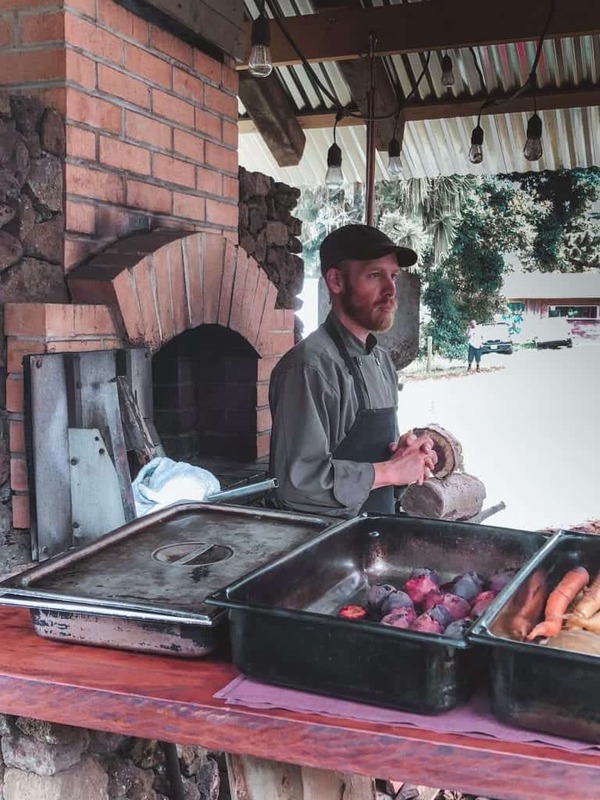 Located on an 8.5 acre diversified, sustainable farm in Kula, upcountry Maui, the farm has provided ingredients for Pacific’o restaurant in Lahaina for the past 10 years. The tour begins at 10:30AM with a stroll through the olive trees and coffee fields. 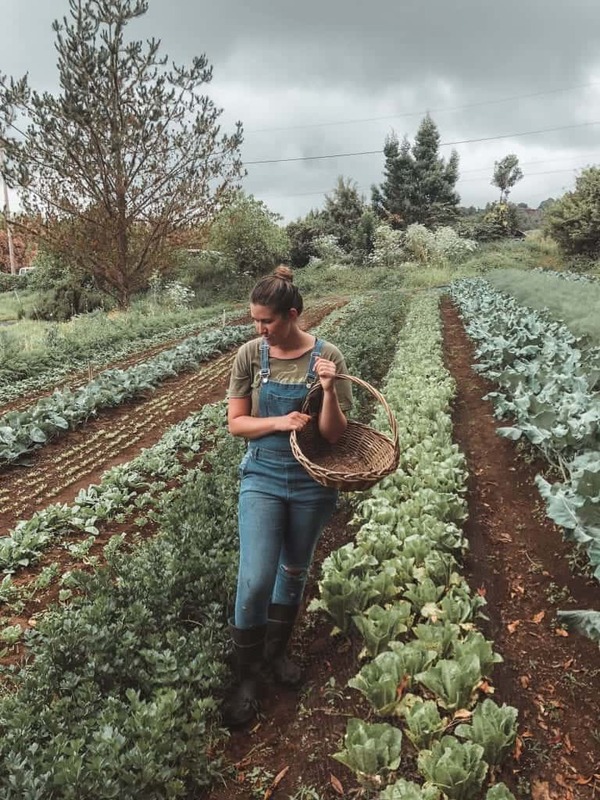 Your guide will continue on to the garden where you will learn about the crops, harvest fresh salad ingredients for lunch, and culminate with a look at the coffee roastery. All the while, the chef prepares a multi-course meal that you will enjoy family-style after the tour. The food was so fresh and incredibly delicious, but my favorite part was the opportunity to sit down for lunch with a group of strangers and make unexpected friends with the people sitting next and across from you. The tour is roughly three hours and is conducted Monday through Friday. It is $64 for adults and $32 for children. You can also bring a bottle of wine to enjoy with your meal and the farm will keep it chilled for you during the tour. Click here for more information on the lunch tour. It does rain quite frequently in Kula, so make sure to bring a raincoat and umbrella. Whenever I mention that Tommy Bahama is my favorite restaurant, undoubtedly the response is…wait, the clothing store? So, for anyone unaware of the fact that Tommy Bahama also has a chain of restaurants typically located in coastal areas like California, Hawaii, and Maui, welcome aboard the Tommy Bahama train. You won’t be getting off any time soon. I drive from Los Angeles to Newport Beach, which is about 2 hours away, just to indulge in this gloriousness. At Tommy Bahama, there is one menu item in particular worthy of such high praise and that is the Char-Grilled Filet Mignon Salad which is only served at lunch. Don’t worry though, if you beg desperately enough, they will serve it to you at dinner. This has been proven by yours truly on various occasions. Just to clarify, there are many other quality items on their menu, but I personally think that this salad is the best salad in the world. 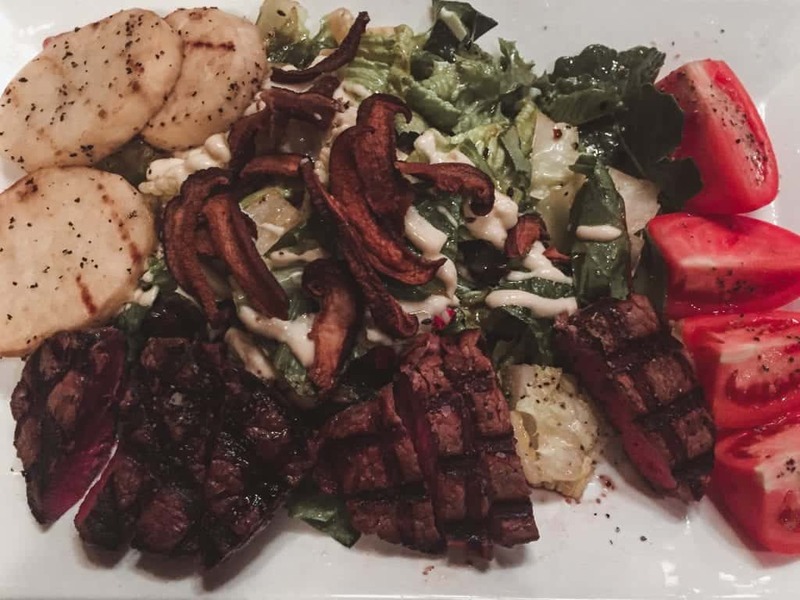 The Char-Grilled Filet Mignon Salad consists of the following ingredients: Grilled Potatoes, Romas, Crispy Shitakes, Garlic Aioli, and Tamarind Vinaigrette. It is perfect. Tommy Bahama is located in the Shops at Wailea and opens daily at 11:00 AM. For a look at their lunch menu, click here. My brother received a recommendation for this restaurant from a friend, and I now want this person to be my personal reservationist for the rest of time. The Mill House, located on the grounds of the popular attraction, The Maui Tropical Plantation, blew me away with the quality of the food. 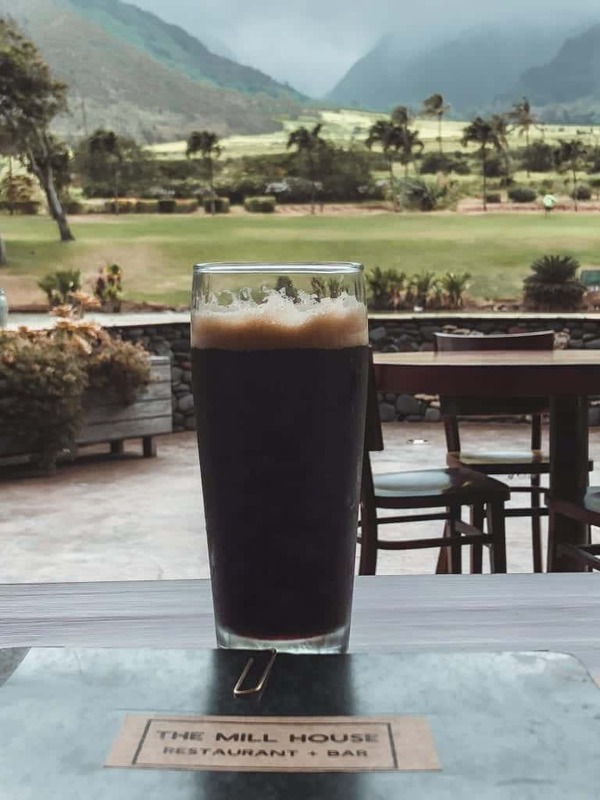 However, it was the view — sitting at our table on the lanai, looking across a pond at the mountain pass in the distance — that made this Maui lunch spot unforgettable and my clear favorite of the trip. We ordered multiple appetizers as well as an entree each and raved about everything. I especially liked the Gnocchi with shiitake, zucchini, fried quinoa, and chili butter. The food was unique and innovative, but also standard enough where any picky eater could find something acceptable to eat. After lunch, make sure you don’t just get up and leave, but walk around the grounds and enjoy the panoramic scenery. 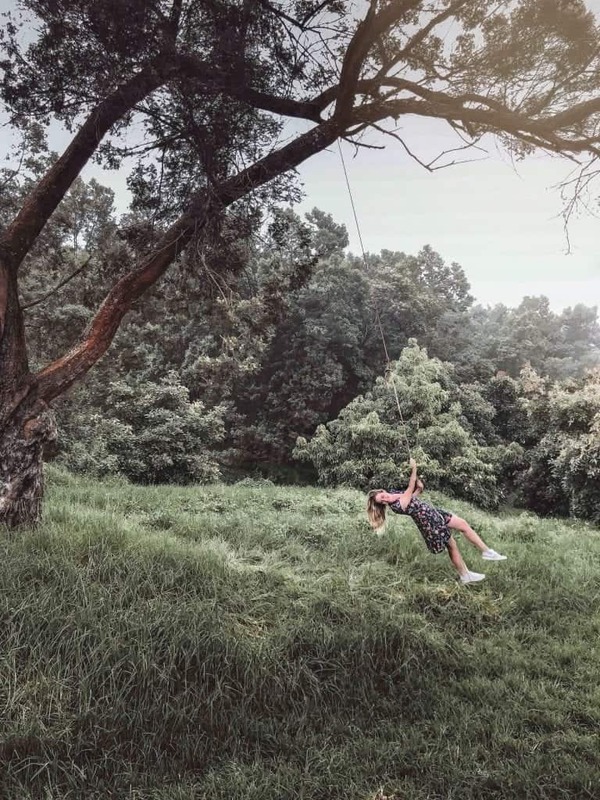 There is even a small zipline that you can ride; and, of course, you can take the popular plantation train tour as well. The Mill House does do a happy hour from 2-5, so if you wanted to have a late lunch, you could do so at slightly more affordable price point. On the other end of the spectrum, they also do a weekly Chef’s Table multi-course menu at 6:00PM for $150 a person. Click here to view the lunch menu. The most popular restaurant on the island, Mama’s Fish House is a Maui classic that will be fully booked for dinner a month in advance during peak season. That is why I recommend dining at Mama’s Fish House for lunch. There may not be sunset views, but you are still getting THE Mama’s Fish House oceanfront view, fresh food, and flawless service. Their seafood offerings are all caught fresh and brought to the restaurant daily by local fisherman. Make sure to leave room at the end of the meal for Mama’s signature dessert, the Polynesian Black Pearl, which should not be passed up. While the restaurant has been awarded for being one of the “Top 10 Fine Dining Restaurants in the US,” it still maintains a personal touch with a long family history. The restaurant is located on the North Shore of Maui in Ku’au. 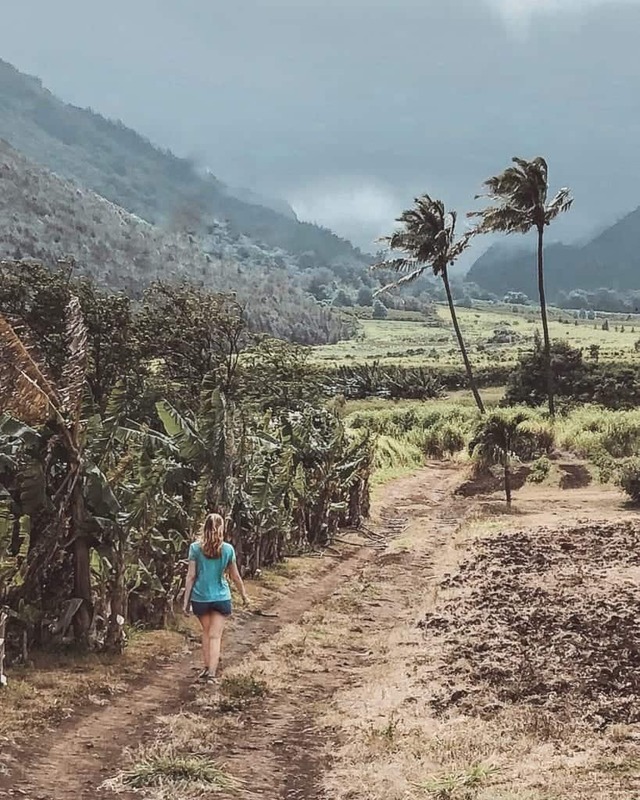 Long before there were any resorts on Maui, Doris Christenson visited Maui for the first time and became determined to live on an island in the Pacific. In 1973, the Christenson family opened the doors to Mama’s Fish House for the first time. Click here to read the full, charming story on their website of how Mama’s Fish House came to exist. While reservations are not as difficult to come by at lunch, I still absolutely recommend making one in advance for Mama’s Fish House. You will need to rent a car to get to many of these restaurants, so I recommend booking through the site we always use, Priceline. You can cancel and rebook as many times as you need to get the best deal; plus, the website shows all possible rental companies so it is simple to filter through the best options.